Welcome to the fifth installment of WRI's six-part blog series on the future of tonewoods, the woods used in guitars and other musical instruments. In each installment, we look at a different species of tree used for a certain part of the guitar. Each wood presents its own challenges and possibilities surrounding sustainable harvest. The wood underneath a guitar’s strings is called the fretboard. To function properly, it has to be perfectly constructed from wood that is hard, dense and warp-resistant. It must hold metal frets for years without any movement, since even a microscopic amount of fret movement can throw a guitar out of tune. 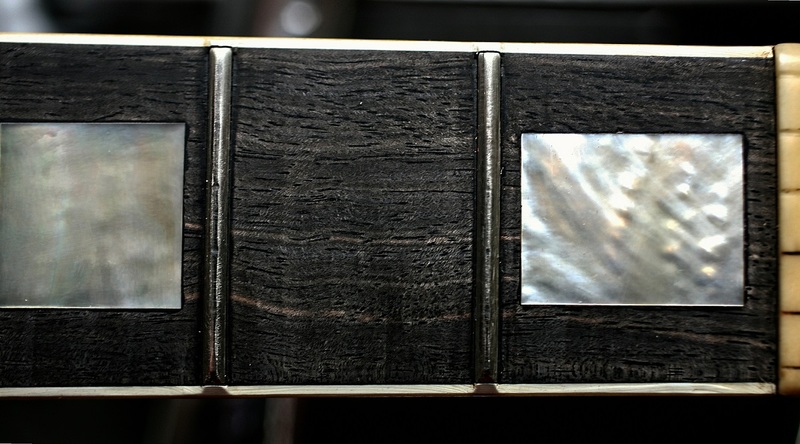 One material is synonymous with fine fretboards: ebony. Ebony trees, members of the Diospyros genus, grow in tropical forests and grasslands around the world. Recognized as the best material for fretboards, ebony is so dense that it sinks in water and so hard termites refuse to eat it. The trees are also famous for their nearly jet-black wood. It was the standard material for the black keys of pianos as well as in cabinets and furniture, but high demand for the exotic wood has severely affected the world’s forests. Formerly available from throughout the Congo Basin and Madagascar, ebony has been overharvested to the point that it is now only commercially available from Cameroon. Contrary to popular belief, most ebony trees do not have totally black wood. Though color does not affect the wood’s structure or sound, trees with pure black wood can be worth more than twice as much as the more-plentiful “streaked” trees. In the hunt for black wood, loggers left 90 percent of cut ebony to rot on the forest floor, deeming it worthless if it had any blonde streaks. Arbitrary industry preferences were wreaking havoc on the forest and rapidly decreasing the already small supply of ebony. In the past three generations, over 50 percent of ebony in the world has been harvested, making it an endangered species. New technologies offer alternatives for instrument construction that can meet or exceed the standards set by tradition and move the industry beyond dependence on precious natural resources. Due to the problems associated with ebony, manufacturers like Gibson Guitars and Martin Guitars have embraced composite materials like Richlite for fretboards on some models. Others, like Bedell Guitars, adapt their construction methods to use abundant hardwoods like walnut in place of ebony. Innovative manufacturing solutions like this are sustainable, high-quality, and entirely avoid the legal risks associated with exotic tropical woods. Though controversial among traditionalists, the use of alternative materials is gradually gaining traction among sustainability-minded musicians. Others believe that with deliberate investment and planning, ebony can be not only a sustainable and ethical tonewood, but can also drive positive social change in forest communities. In 2011, Taylor Guitars partnered with Madinter Trade to purchase the Crelicam ebony mill in Yaoundé, Cameroon. Their first move was to finally accept and sell streaked ebony, but they have since redefined the relationship between forest communities and purchasers by dramatically improving labor conditions in the mill (which more than doubled wages for all employees) and increasing the proportion of value that stays in the local community. This type of vertical integration requires significant investment but ultimately gives Taylor control over both their process and final product. Crelicam is still a young operation, and continues to fight an uphill battle against competition from illegal logging operations and corruption, but it has already made significant progress towards more sustainable, ethical, and equitable forest management. Consumers are ultimately the key to changing the ebony trade. Guitarists can either embrace new materials like Richlite, alternative woods like walnut, or the non-traditionally colored ebony that is available today. 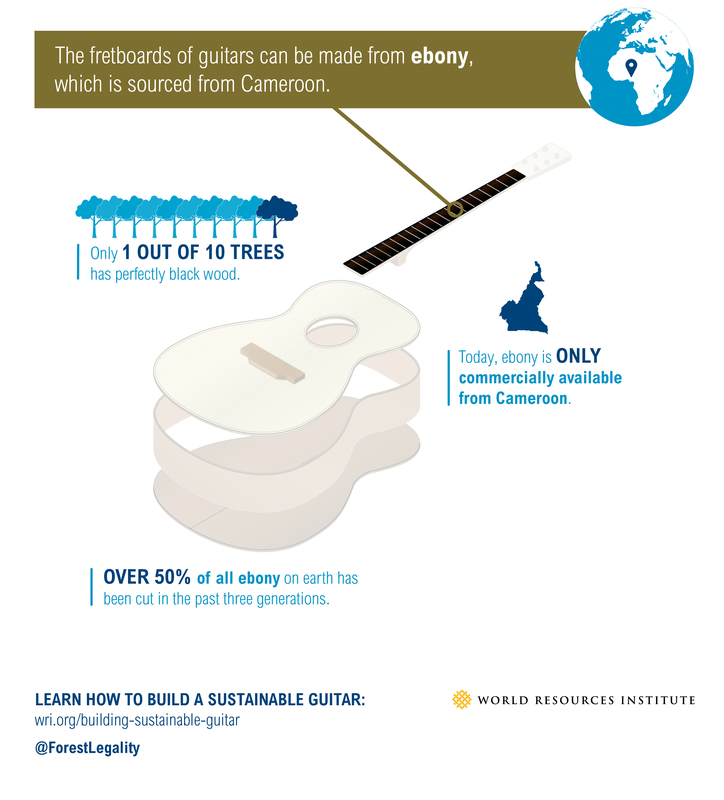 Demand has driven ebony to its limits, but demand for sustainable fretboards can play a large role in fundamentally shifting its future. What does a man named Chippendale have to do with colonialism and the slave trade? Our final installment takes us to Central America and Fiji to find out.